This, my first Dorothy Whipple and my second Persephone, was an absolute delight (can I call it a delight when parts of it broke my heart?). They Were Sisters is about three sisters who, once they leave home, end up with very different lives. Lucy, the oldest, is bookish and had been hoping to continue with her education, but after their mother dies she stays home to help take care of her father, the house, and her sisters. She is the most maternal of the three sisters, and works hard to keep them all in touch with each other over the years. She marries William, remains childless, but forms a strong bond with Charlotte’s youngest daughter. No matter how you choked her off, how rude or resisting you were, she went quietly on looking after you, caring what happened to you. Charlotte, the middle child, falls in love with a man who is always the life of the party. Charming and handsome on the outside, but selfish and childish on the inside. Charlotte and Geoffrey have three children. Vera is the youngest and the beauty of the family. Her beauty has always served to get her what she wants – no one can resist her. She tends to fluctuate between selfishness and kind-heartedess, depending on her mood and her circumstances. Her beauty and sense of entitlement get in the way of her marriage with unfortunate results. Vera and Brian have two children, both girls. 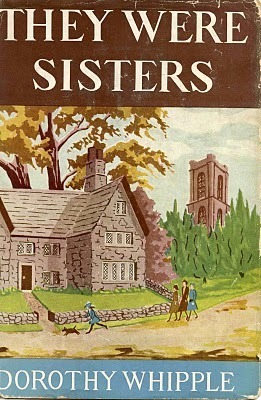 The author moves from one sister’s household to another over the course of the book, thoughtfully focusing on each character. One of the things that stands out to me is the extent of the difference between each sister’s marriage. Lucy and William have a happy marriage. They like each other, and they count on each other for companionship. I think Lucy feels free in her marriage to say and do what she wants. Although he makes the odd remark about her sisters, William seems supportive of Lucy’s devotion to them and her many visits. And although William doesn’t love it when they come to visit, he handles it politely, and seems to enjoy having the nieces come to stay for long periods of time. Lucy’s experience of marriage seems to be of easy and enjoyable companionship. She put her book up before her face and giggled. William smiled and companionable silence fell. Charlotte‘s experience is very different, and her sisters (especially Lucy) spend a lot of time worrying about her and wondering what they can do for her. But, in the end, there is nothing they can do. Geoffrey is controlling, manipulative, and mean. Charlotte and the children are miserable most of the time, always walking on eggshells, arranging the household activities around Geoffrey and his moods. What makes it even worse is that Geoffrey works out of the house, so he is always there. There is almost no respite for the family. When her sisters try to help her by visiting or having her over for a visit, Charlotte just ends up paying for it later. Eventually, she turns to alcohol and drugs to cope. Charlotte’s experience of marriage is of abuse. She was still secretly trying to find excuses for Geoffrey. His behaviour was partly her fault, she told herself. She must be calmer; not get into such a state when he began his rows, and she must make the most of his good moods and try to keep him in them. The result of having so much to hide, or of thinking she ought to hide it, was that she lived in isolation. She was always fencing, defending the wreck of her intimate life. She kept so much to herself that she was beginning to keep everything. Vera marries a man who she is not in love with. Which is her first mistake. She ends up treating him coldly and resenting his presence at her stylish parties. She also seems to resent the fact that her marriage results in two children. She sends them off to the nursery most of the time, rarely seeing them. Brian, however, goes to see them every day between work and dinner to read to them. He is forever discouraged by their lack of interest in listening to the stories and by his wife’s lack of interest in him. Despite Brian giving Vera opportunities to start fresh, their marriage ends in divorce. Vera doesn’t really care about being a wife. She doesn’t hold herself to any wifely standard or duties, but she also doesn’t care about her husband, and very little about her children. She never should have become a wife when she did in the first place. How she annoyed and wounded him, he thought, how she went out of her way to show that she thought nothing of him. But how damnably, unchangingly lovely she was! Something I appreciated was that Whipple spends a lot of time focusing on the children, not just the adults. She really seems to have a feel for the repercussions of poor parenting, whether it be Geoffrey’s bullying or Vera’s neglect. 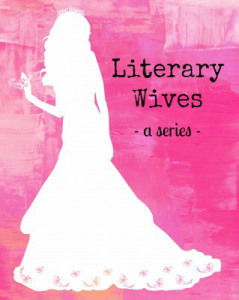 Next for the Literary Wives – Monday, April 1st – Wait for Me, Jack by Addison Jones – Join us! This does, indeed, sound a delight although you’ve worried me with that warning. I’ve learnt to anticipate trouble whenever dogs appear in fiction. I’m so pleased to see Wait for Me, Jack as your next choice. Looking forward to seeing what you make of it. It’s always best to know about sad dog parts before going in to a novel, I think. This sounds lovely. Like you, I think I’ve only knowingly picked up one Persephone book before, but I’d be open to trying some others. I’ve seen Whipple’s name around from other bloggers, and I’m pleased to know you enjoyed her work so much. Amazingly, my library has a copy of this, so I will give it a go at some point. Maybe your library has a bunch! I’m so glad you liked this book. This is one of my favorite Whipples. I didn’t focus on the children because our question was about wives, but they are a very important part of the book. One think I didn’t say about the sisters was how Lucy’s maternal relationship divides them from her when they become older, because they treat her as a parental figure rather than a sister. But of course it is Lucy who keeps them together as a family for so long, and it is Lucy who saves both their daughters from their dysfunctional family lives. I don’t know what they would have done without Lucy. I was appalled by the way Vera treated her children. But she was never very happy, even with everything she had… so depression maybe? I would have liked more about Lucy and William, but there’s always less to say about a happy marriage. I don’t know. I think she was supremely self-centered rather than depressed. Good point about the happy marriage. Maybe that’s why we haven’t encountered very many in our reading! I read my first Whipple (Someone at a Distance) last year, a book I enjoyed so much that it made it onto my list of highlights for 2018. In truth, this sounds equally compelling, if not more so on account of the sisters. I will have to see it out. I loved that it was about sisters – the dynamics between them was so interesting. I just ordered a few used Persephone books, and I think Someone At a Distance was one of them! This sounds like it was a really good book. Although both you and Emily mentioned the thing about the dog and I’m kind of glad to be spared that! At least, if you decide to read the book at some point, you will be warned! Oh this sounds just lovely! I love the point you make about the marriages and how different they all were. That says something about how wifehood changes depending on the context and that our project to look at literary wives may not necessarily yield a lot of constant themes. That’s a good way of putting it. When it came to answering our question about the book, overall, there wasn’t just one thing to conclude. So, really, the answer is that everyone’s experience of being a wife is different. Which is one reason why it never gets boring to read about! haha oh no that sounds ominous about the dog! This sounds like a really great book, I love the comparing of siblings in how they fare in life, and of course the dissection of marriage! Vera sounds awful, as does Geoffrey. And that’s interesting how the results of poor parenting are explored too. The part about the puppy was rough, I admit, but the rest of the book was worth it! Oh my. I had no idea about he puppy scene. And here I would have thought (just based on a single novel and a collection of non-fiction) that Whipple would be safe on those grounds. I would agree that each marriage is very different from another, not only among these three siblings, but among all of us in life! I always feel that what works for one couple, may or may not work for another. Each of us are quite unique individuals and as couples, we tend to create very unique relationships! I got a bit more detailed in my review about the puppy. I had to purposefully race through those parts of the book. I get very emotional about our furry companions! I must check out other Persephone books and start ordering very once in awhile. There are many gems! And I adored Whipple’s writing style! I love the detailed characterization!